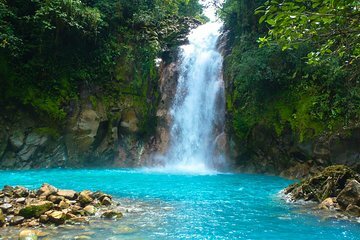 Hike alongside the alluring blue waters of Rio Celeste on a full-day trip from San Jose. After driving through the Costa Rican countryside, follow rain forest trails that wind past waterfalls and lookout points over the river known for its remarkable color. Reward your efforts with a soak in mineral-rich hot springs that flow from nearby Arenal Volcano.